If you have already signed up for a new fitness class and you have the Muay Thai shorts to prove how motivated you are, this article will help you get prepared in more ways than one. We won’t focus on explaining how to use various pieces of equipment, like Muay Thai jump ropes, but we will give you the tools to get ready for this sport as you should. It’s nothing wrong with jumping straight into action. But, after the first days of training in this manner, you may end up feeling winded and demotivated. So, here is the best tip for increasing stamina and enjoying your Muay Thai classes more: take up jogging. When you run, your heart rate increases, and it starts pumping more blood. In due time, you will feel that performing various exercises no longer leave you feeling exhausted, hungry, and like you never want to go through the same thing again. This gain in stamina will help you during your Muay Thai training. There is no way to emphasize this more than merely by saying it over and over again: always wear hand wraps. It is true that Muay Thai is the type of sport that creates stronger bones and joints, but the soft tendons in your hands will take a while to get conditioned by the repetitive punching you will deliver during the drills. An injury to even one hand can turn into a severe setback. Don’t let yourself pushed back like that by merely neglecting this simple tip. Protect your hands adequately and get some quality hand wraps for them. You will not be able to progress if you’re not willing to put in the hours. That means that you will need to make time for Muay Thai weekly, at least twice. If this sounds like too much, maybe start with one weekly session, but bear in mind that any sport requires this kind of dedication, and you won’t get far without it. Muay Thai is not boxing or any other sport. That means that it has certain particularities that you might want to bear in mind. 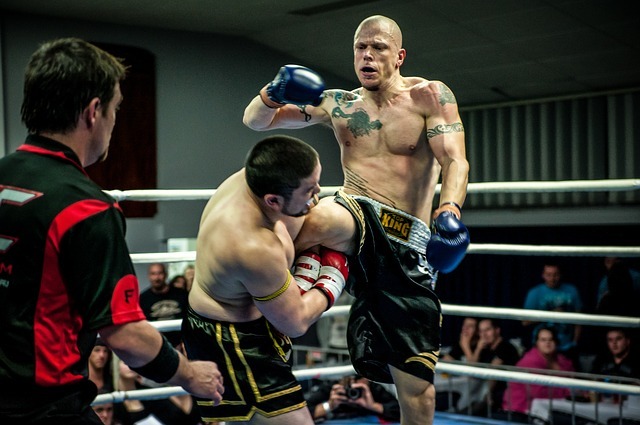 For starters, while it can make you powerful, Muay Thai is not all about strength. It is, actually, more about technique and your focus should be on that. Don’t rush toward the punching bag determined to give it a beating. No matter how hard you kick or punch, you won’t get anywhere fast if you don’t practice to create a flawless technique. The most proficient Muay Thai athletes know this well, and it is what makes them great. Muay Thai is a sport that challenges the entire body. It is what makes it so fascinating and such a great workout. But you must remember that it is based on having strong legs, which is why beginners are advised to work on the strength of this part of their anatomy. Do squats, lunges, burpees, and any other exercises that promote stronger legs. You will notice that your ability to perform specific Muay Thai drills will improve tremendously, as a result. You must already know what a great fat burner this sport is. But, at the same time, as you burn calories, you also sweat, and that means that you need to replace the lost water from your body by drinking more. Anyone can tell you that you should have a bottle of water nearby when you exercise. For Muay Thai training, there is no difference. Make sure that you hydrate adequately, and that you never go without water for too long. Effects of dehydration include dizziness, headaches, and exhaustion. Again, we must emphasize what an excellent calorie burner Muay Thai is. And, while this is great, if you are not prepared for the consumption of energy such a session can be, that can have severe consequences. You will end up feeling too exhausted to come back for another session. Don’t let that be the end of your efforts to get in shape using Muay Thai. Instead, fuel well before such a class. It is highly recommended to eat carbs two hours before hitting the gym for training. Such foods will make available enough fuel for you to consume so that you can keep up with the energy demand. Many people who exercise at the gym or home know well how important it is to stretch after a workout session. But if you want to be an accomplished Muay Thai trainee, you must do more than that. Perform stretching exercises on their own, to improve your flexibility. After a session, stretch so that you won’t experience any muscle strains. But also stretch after warming up, to have a broader range of motion when you perform different techniques. A limber body will put you on top of your competition. Just like in boxing, Muay Thai demands you to be ready for protection by keeping your guard up at all times. Practice shadow boxing regularly, and be aware of how important it is never to leave your face unguarded. This type of training will help you develop a healthy attitude toward the sport. It is essential for many people to understand that Muay Thai doesn’t mean only kicks and punches. Muay Thai can be addictive. It is a fun workout, and your body will free endorphins into your blood, making you feel great. But that’s no reason for you to overtrain. Don’t forget about the importance of rest days. That’s when your body builds the muscles you need robust and reliable for the new challenges you intend to face. So sleep well, and don’t forget to include rest days, no matter how enthusiastic you might feel about your workout.